best for your type of hair. what one of her newest favorite type of hair extension and techniques are. formulates to shrink into the form of the strand and hardens securing the strand to your natural hair. stuck in the hair, causing it to pull out your hair. Therefore in my opinion, the Shrinkies are the healthiest for the hair when maintained properly. They cause the least hair loss as they don’t twist, tangle in the hair and are the easiest to remove with minimal hair loss! out. Making for a smooth removal. Here is a before and after picture of a full head of individuals installed using the “shrinkies” technique performed by AmberRae. 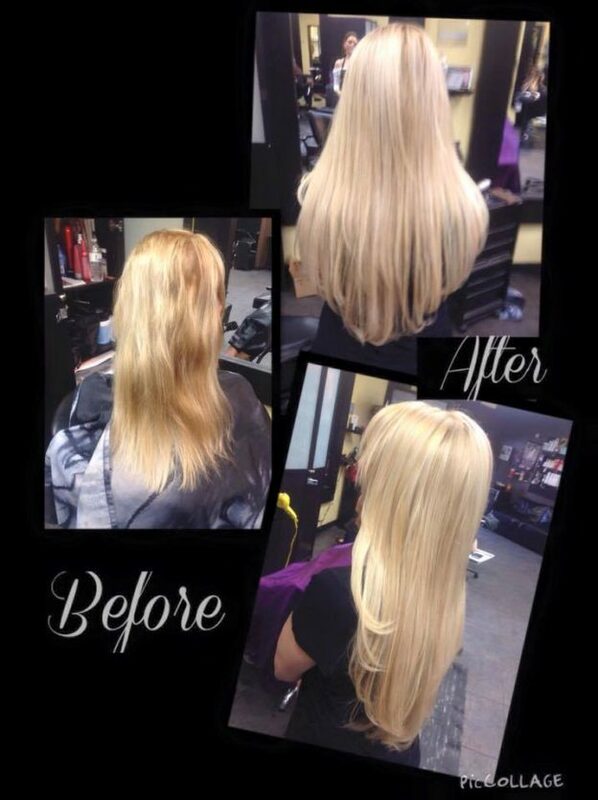 Call NY HAIR COMPANY FOR a Free Extension Consultation! This entry was posted in and tagged Hair extension techniques, hair extensions on June 4, 2017 by admin.